At our first meeting, Allen will ask you a number of questions relating to your family, your project, and your vision for the space (your needs, desires, and expectations). These are important questions, because we aren’t selling our products or our ideas – this is your project. Every home and family is different. We will give you our ideas and input, but the goal is to bring out your ideas. We will ask you about your budget for the project. It is important that we have an honest discussion about how much you are willing to invest in the project. Obviously, the scope of the finished project will e dependent upon what you choose to spend. Allen will help you sort out the best value for the space. There are many variables on the cost of any project, depending upon your materials choices. We will take detailed notes, take a series of photographs, and may take detailed measurements of the project area. Allen will prepare a detailed written estimate for your review. Once you receive the estimate, we can re-evaluate specific materials choices and adjust the project as needed or desired. Because you can trust us to be honest and fair in all our relationships, hiring us to work at an hourly rate will usually prove to save you money. Our hourly rate pays not just for a “handyman” but for a skilled team of craftsmen who use their insight and experience to get the job done efficiently, effectively, and with quality results. Because an estimate takes time to develop and must assume potential unseen issues, an estimate is likely to cost a little more. Keep in mind that some contractors provide intentionally “under-bid” their estimate but include the fine print that allows them to charge for things that may “come up.” That’s not the way we do business. How Do I Compare Bids? If you choose to get competitive bids, you must remember that all bids are not created equally. Often the lowest bid will prove to cost you far more in the long run. If a contractor doesn’t provide you with a detailed bid, you have no way to know whether inferior products or incomplete work will be performed. The details many bids “leave out” can be significant. 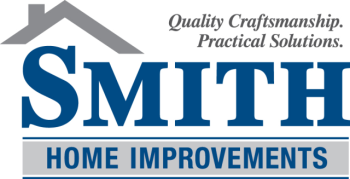 Smith Home Improvements offers a free bid review service to compare line by line the differences between all the bids you receive. If someone else can do the same work more cheaply, we’ll tell you so.